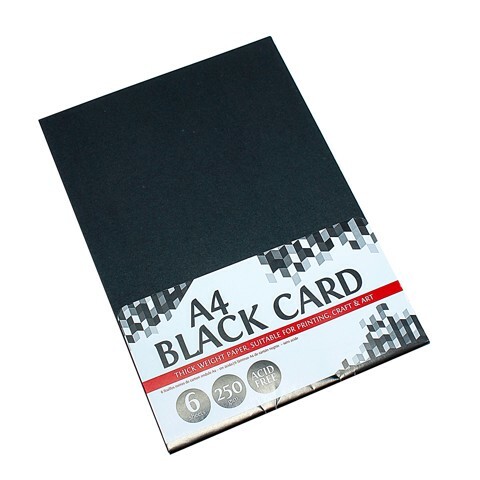 Black Card A4 250Gsm 6Sh. A4 Size 210 x 297mm. Black. Paper. 250G Packaging: OPP Bag with Colour Insert.